Eric Chu has stepped down as manager of Google's troubled software market for Android, and is being replaced by Jamie Rosenberg from Google Music as the company aligns all of its digital content under the Google Play umbrella. Rosenberg has led Google Music for the last two years after arriving from Microsoft via its disastrous Pink Project acquisition of Danger (the company cofounded by Android manager Andy Rubin). Chu plans to take another position within Google, leaving Rosenberg to take over his tasks in managing Android app sales. Last January, Chu admitted to "anxious app developers" that Google was "not happy" about the limited number of apps actually being purchased in Android Market, and outlined plans for turning the beleaguered software store around in 2011. 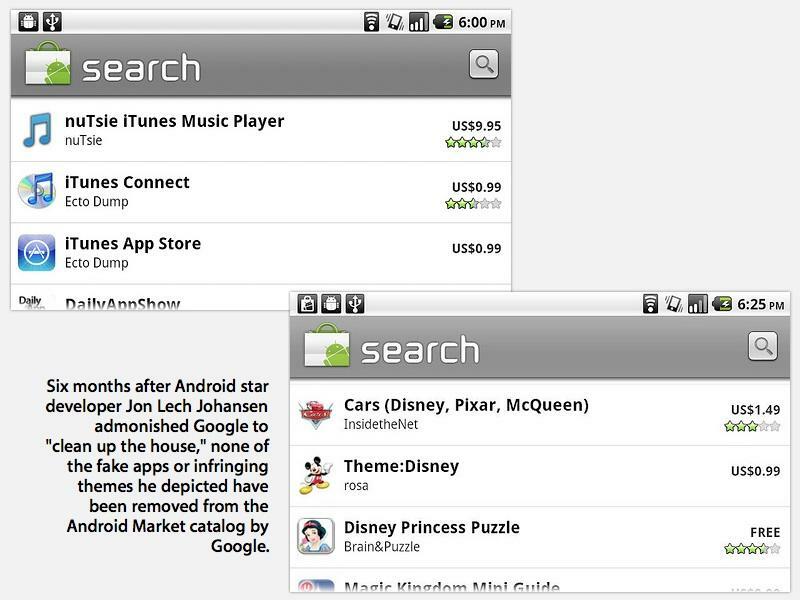 Chu said there was a team tasked with "weeding out apps that violate Android Markets terms of service," an indication that Google's free-for-all market design was recognized to have serious drawbacks. The company also took steps to restrict its licensing partners and discourage them from making drastic changes that fragment the platform. However, Android app sales have not dramatically turned around since, despite the fact that the majority of smartphones not running Apple's iOS incorporate some version of Google's Android platform software, providing the search giant with a large installed base to sell apps. By the end of 2011, analysts were pointing out that Google had struggled to gain traction for app sales in Android Market. Apple's iOS platform continued to eat up around 90 percent of mobile software revenues. At the same time, Android Market was targeted as being plagued with malware and spyware by security companies that note Apple's curated iOS App Store doesn't have the same issues, despite much greater sales volumes, the much wider global reach of iTunes, and far higher greater revenues and profits that are supposed to attract malicious attacks. 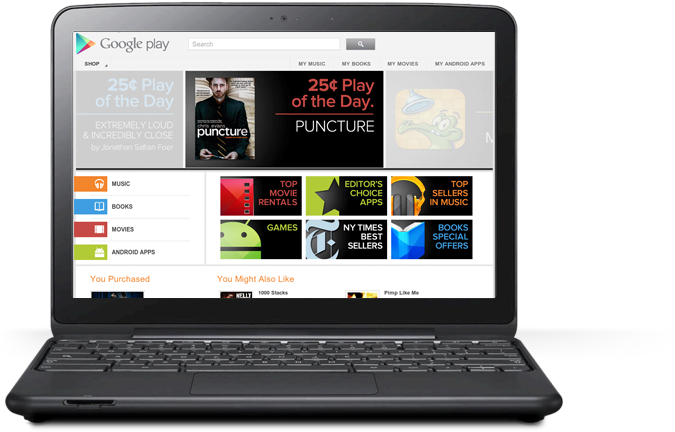 Throughout 2011, Google focused on launching Android tablets with the release of Android 3.0 Honeycomb, but its efforts had so little impact that both HP's discontinued webOS TouchPad and RIM's dismal sales of PlayBooks largely overshadowed Android's advance among tablets as an alternative to the iPad. The most successful Android-based tablets in 2011 were those sold by Amazon and Barnes & Noble, but those products used an older version of Android incompatible with the Honeycomb software Google was trying to sell, and both of those products tied app sales to the booksellers' own software markets rather than Google's Android Market. After a bleak year for Honeycomb tablets, Google's latest release of Android 4.0 Ice Cream Sandwich debuted this winter, aimed at reusing Honeycomb's development efforts for smartphones. However, the new software was initially only available for Google's Galaxy Nexus, and has been slow to roll out on other handsets. The new software is only supported on new phones released in the last year, but even those users must wait for carriers and hardware vendors to release specific builds for their particular phone model. A report by TechCrunch described a political feud between Chu (who managed developer relations and business development) and David Conway (who managed product development). "Because there were two heads with relatively equal power, it was difficult to understand who had final say and that led to unnecessary politics," the report stated. 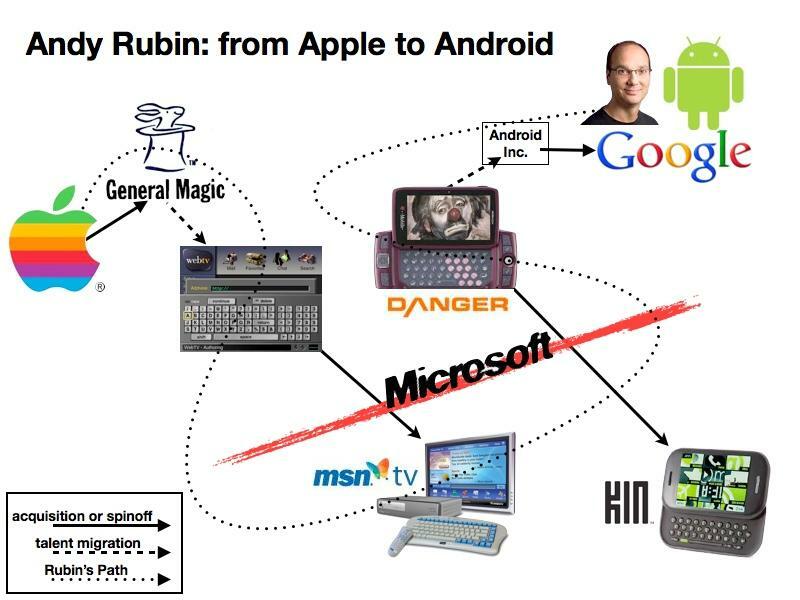 "Because Rubin judges the success of Android primarily through device activations and mobile search revenue, the app store has been a secondary priority inside the group. This is even though apps are a key reason consumers might choose one type of device over another." Chu had made comments a year ago that Google was "betting on" HTML5 as a way to create apps. Google employees have previously made it clear that the company sees the Java-like core VM of Android as only a stepping stone to a future where apps are created in HTML, as soon as web tools can support sophisticated apps. Developers have frequently described Google's Android app market, recently merged into the company's music, movies and ebook sales under the new, non-Android specific name Google Play, as not worth their time to support given the added complexities of the wide open hardware configurations among Android devices compared to the minimal revenues the store generates. Mika Mobile recently explained why it was dropping support for Android, noting that "it doesn't make a lot of sense to dedicate resources to it," and stating, "we spent about 20% of our total man-hours last year dealing with Android in one way or another - porting, platform specific bug fixes, customer service, etc." The developer told customers, "I would have preferred spending that time on more content for you, but instead I was thanklessly modifying shaders and texture formats to work on different GPUs, or pushing out patches to support new devices without crashing, or walking someone through how to fix an installation that wouldn't go through. We spent thousands on various test hardware. "These are the unsung necessities of offering our apps on Android. Meanwhile, Android sales amounted to around 5% of our revenue for the year, and continues to shrink. Needless to say, this ratio is unsustainable. "From a purely economic perspective, I can no longer legitimize spending time on Android apps, and the new features of the market do nothing to change this," the developer wrote.